Attention! Fellow and future members of the Elves, Gnomes, Leprechauns, and Little Men’s Chowder and Marching Society! 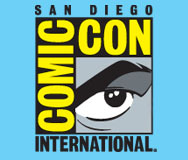 If you’ll be at Comic-Con this week, stop by Fantagraphics, at Booth 1718 (see map below). Eric Reynolds (who co-edited Barnaby Volume One with me) and I will be there at these times. Thursday, July 18: 10-11:30 am. Saturday, July 20: 9-10 am. Sunday, July 21: 2-4 pm. We’d be glad to sign your copy of the book. Or not. It’s up to you, really. Or we could just chat. What? Stopping by to chat about Crockett Johnson, Barnaby, and Mr. O’Malley isn’t enough for you? 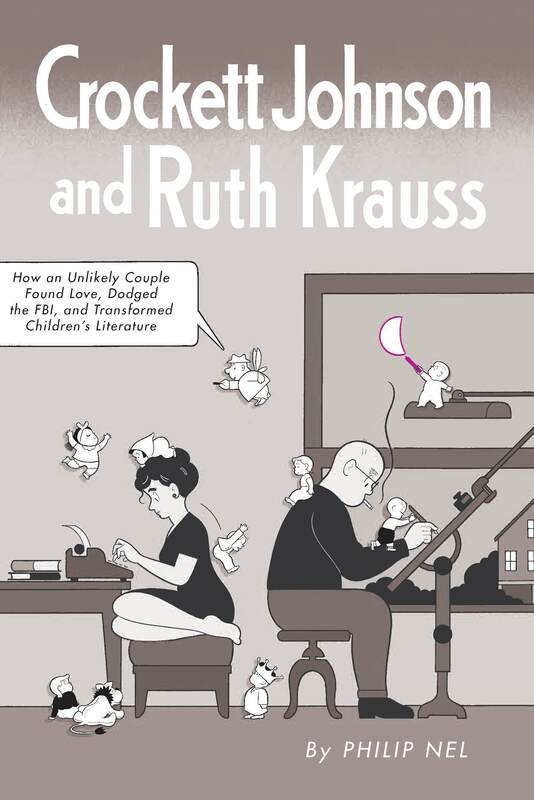 Well, you could also purchase one of Chris Ware’s limited-edition posters for my Eisner-nominated book, Crockett Johnson and Ruth Krauss: How an Unlikely Couple Found Love, Dodged the FBI, and Transformed Children’s Literature (2012). The actual full, wrap-around cover is below: click to enlarge. Seriously: click it. It’s beautiful. Mr. Ware’s specially designed poster version (measuring 20″ x 39″) removes the blurbs (replacing them with two more Johnson paintings), and removes all other text save for the title (on the front cover) and my name (on the front cover). I’m bringing a limited supply. Once they’re gone, they’re gone. Mr. Nel’s engrossing, beautifully-researched dual-biography of these two mid-century masters and their enviable symbiosis will restore the cynic’s faith in love and marriage and elicit gasps of shock from devotees of the genre at the sheer decency of their lives. wonderful new dual biography…. This book is a great read…. Highly recommended! And Fantagraphics will have LOTS of copies of Crockett Johnson’s Barnaby Volume One: 1942-1943 (2013), edited by Philip Nel (me) and Eric Reynolds, designed by Daniel Clowes, with a foreword by Chris Ware, and essays by Jeet Heer, Dorothy Parker, and Philip Nel (me, again). I never thought I’d see this day, but the book you hold is, well… the last great comic strip. Yes, there are dozens of other strips worth rereading, but none are this Great; this is great like Beethoven, or Steinbeck, or Picasso. This is so great it lives in its own timeless bubble of oddness and truth. I think, and I am trying to talk calmy, that Barnaby and his friends and oppressors are the most important additions to American arts and letters in lord knows how many years. I know that they are the most important additions to my heart. . . . I think Mr. Johnson must love people. I know darned well I must love Mr. Johnson. Still not convinced? Then come by the Fantagraphics booth (1718!). Eric and I will convince you. 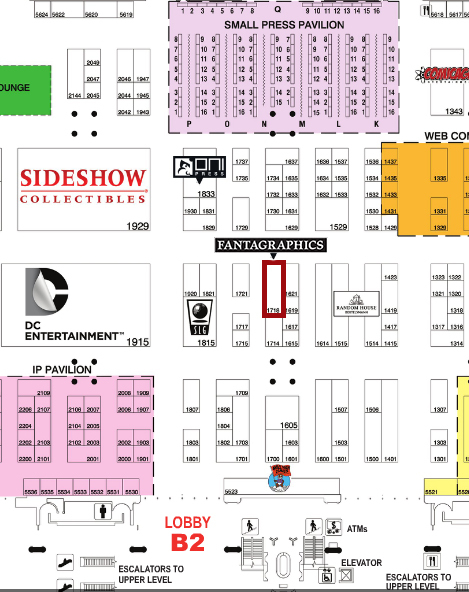 Here is a map — I’ve drawn a red box around booth 1718. Fantagraphics’ page on Barnaby (where you can also buy Volume 1): it has 20 pages for you to download, a slide show, and useful links. Philip Nel, “Crockett Johnson and the Invention of Barnaby” (The Comics Journal, 22 Apr. 2013). An abridged version of my afterword to Volume 1 (it’s half the length of what’s in the book). Philip Nel, “Before Barnaby: Crockett Johnson Grows Up and Turns Left” (The Comics Journal, 26 Sept. 2012). This is adapted from my biography.